Estwing's 12 in. 6 oz. 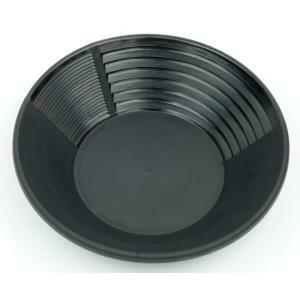 black plastic gold pan is rust proof, chemical resistant, and light weight. Rim finger grip with lanyard hole for easy use and carrying. The Chinese riffle, large drop center, and friction type surface help make separating of gold easier.